The axial view of the CBCT image is extremely beneficial for determining the number of canals in a tooth. Even minor anatomy can be visualized on some cases. In this particular case, my assistant was able to identify the MB3 canal as the image loaded. 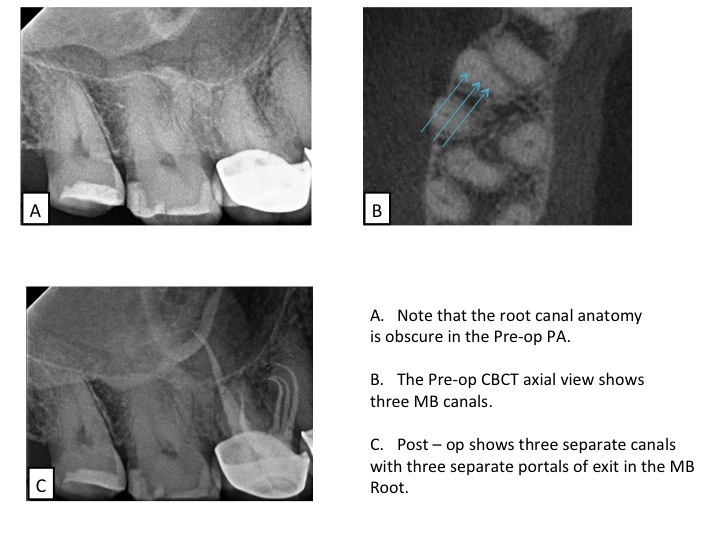 Treatment of this tooth with a supernumerary canal was straight forward and predictable following pre-operative case assessment utilizing CBCT.